Formed in 1901, the BSI Group was the world’s first National Standards Body. Since then, it has published many thousands of standards, and today, over 30,000 exist in total. Developed by experts, the standards aim to define best practice and provide a written set of criteria to be used as rules, guidelines or definitions. In June 2016, the British Standard for Safety of Machinery – Permanent means of access to machinery – Part 3: Stairs, stepladders and guard-rails (EN ISO 14122-3:2016) was updated. This revised standard defines the requirements for safe access to machines, applying to both stationary and mobile machinery where a fixed means of access is necessary. 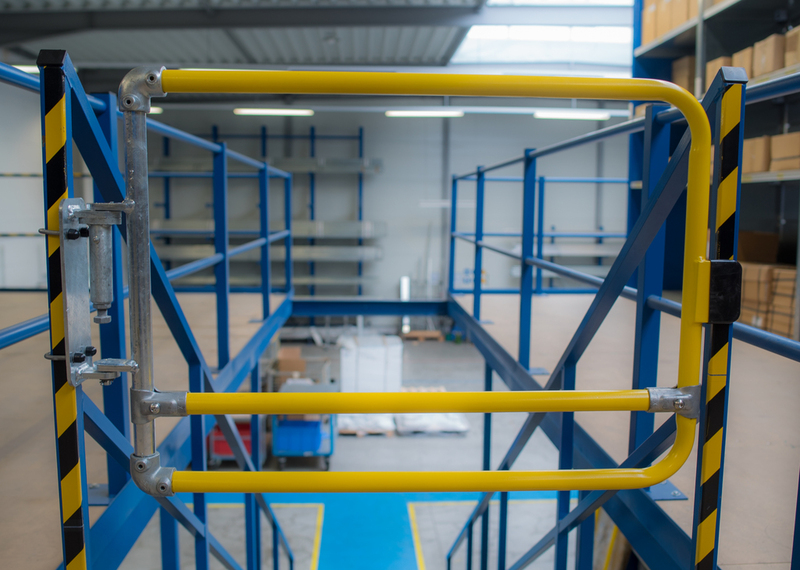 The standard specifies that when the height of a fall could exceed 500mm, a guard-rail should be installed, and the chosen system needs to meet several dimensional requirements. It also notes that a self-closing gate should be used. Maintenance and inspection teams require safe protection to openings such as on work platforms, around industrial machinery or as part of demarcation routes in warehouse and logistic centres, in addition to providing safe access and egress for ladders, walkways and rooftop guardrails. For many years, chains, bars and sliding link tubes have been the method of protection for safe access. 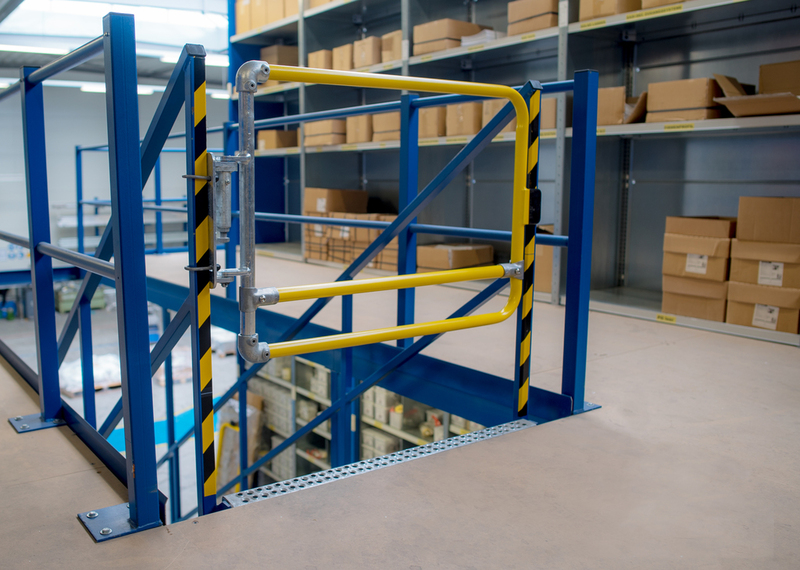 While these provide a simple safety solution, they are reliant on correct usage which isn’t reliable, as users can forget to replace the bar or chain, leaving a gap behind them. Now, with this standard, there is a very clear set of requirements and dimensions for safety gates. 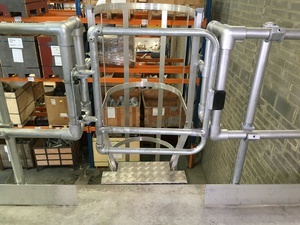 The system should incorporate a knee rail that is 500mm from the top rail, and a lower bottom rail that is no more than 500mm from the floor level. The standard also states that the gate should not be locked, but held in closed position, and should be designed to open easily and closed with a firm stop, preventing users pushing against the gate and potentially falling through the opening. Not only does the new BSI standard recommend the use of self-closing gates, but so does the Health & Safety Executive (HSE). Both promote self-closing gates as the preferred method of protection because they automatically close behind the user to provide an added level of security, so overcoming the potential for human error. 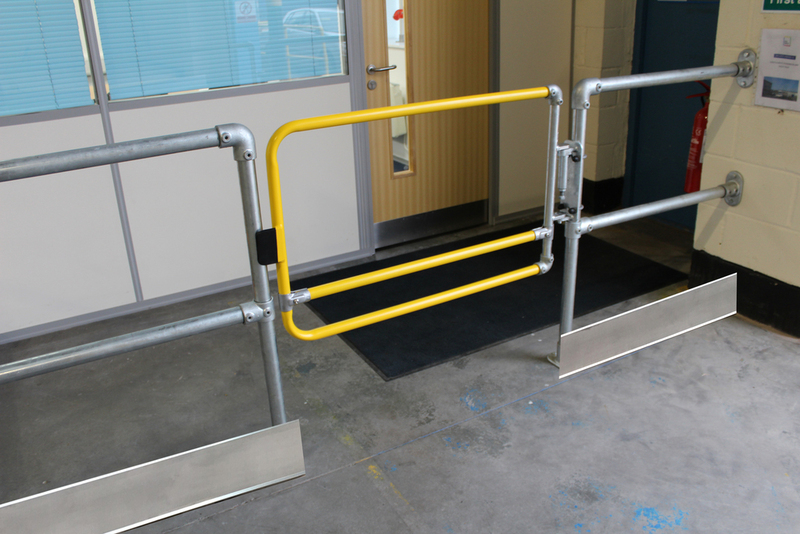 Some systems, such as Kee Gate, are available in galvanised steel and if required can be powder coated in safety yellow. Available with standard 'U' bolts for fixing to uprights of 33.7, 42.4 and 48.3 mm diameter, the gate can be fixed quickly to existing supporting structures, posts or stringers. An additional fixing pack is provided which allows the gate to be fixed to square, flat or angle uprights. 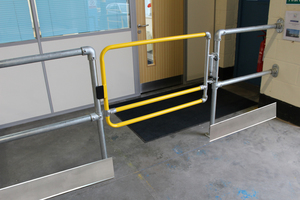 Easy to install or to retro-fit existing structures, such as galvanised handrails, Kee Gate is 1 metre wide. 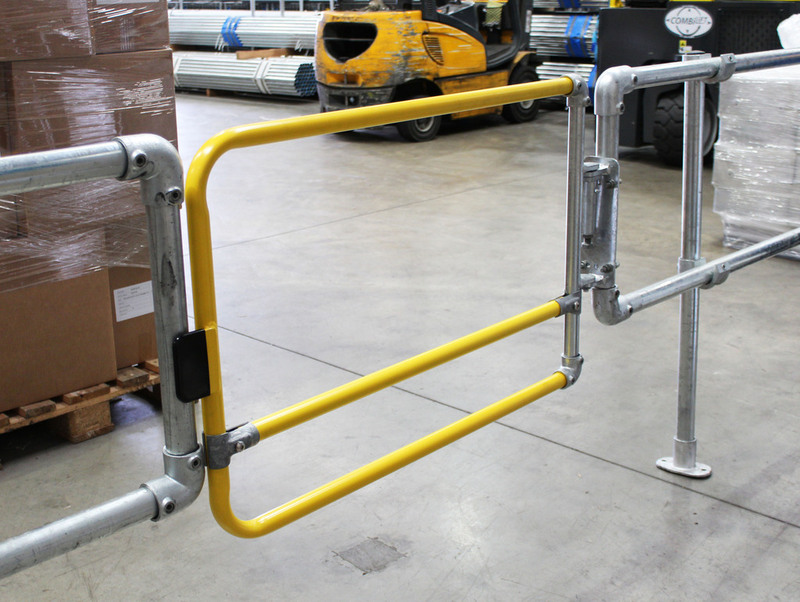 Designed to be trimmed on-site, this solution saves companies the time and money it takes to fabricate their own gates. 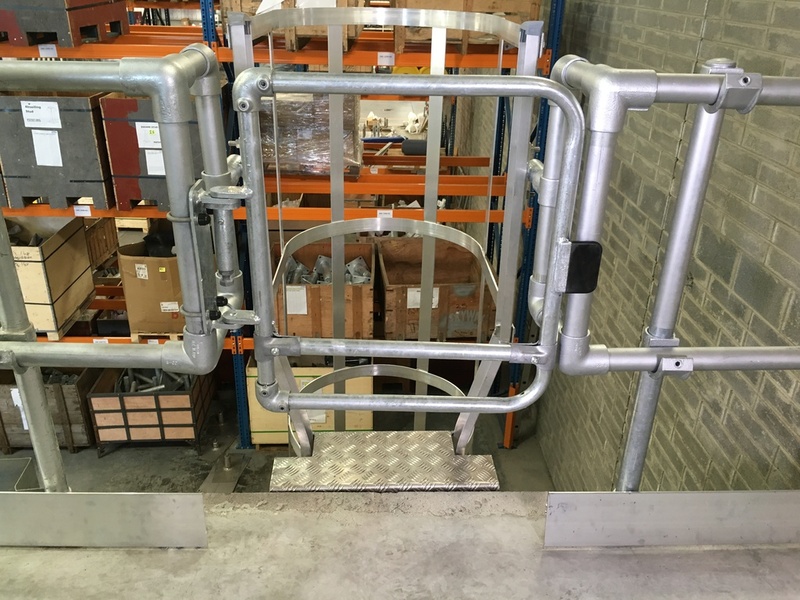 Specifying a self-closing gate that is in line with the requirements set out in BS EN ISO 14122-3:2016, presents contractors with a quicker, more cost-effective and easier to install solution that eliminates the possibility of human error.